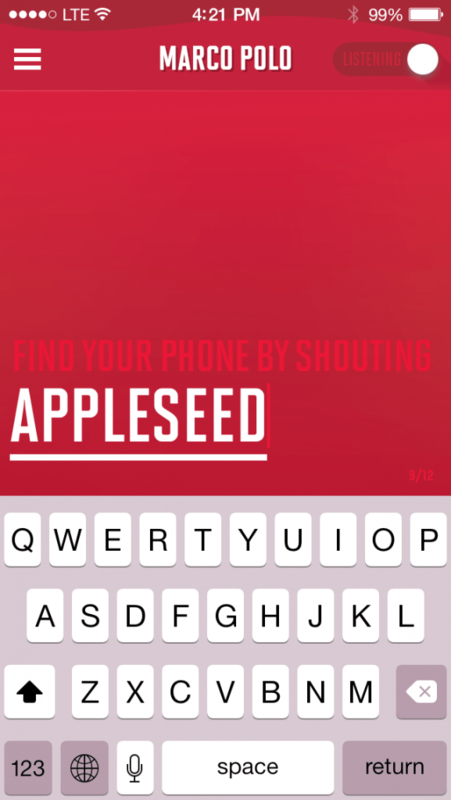 One of the funniest ways, yet most effective, to find your iDevice when you misplace it (without using find my iPhone of course). 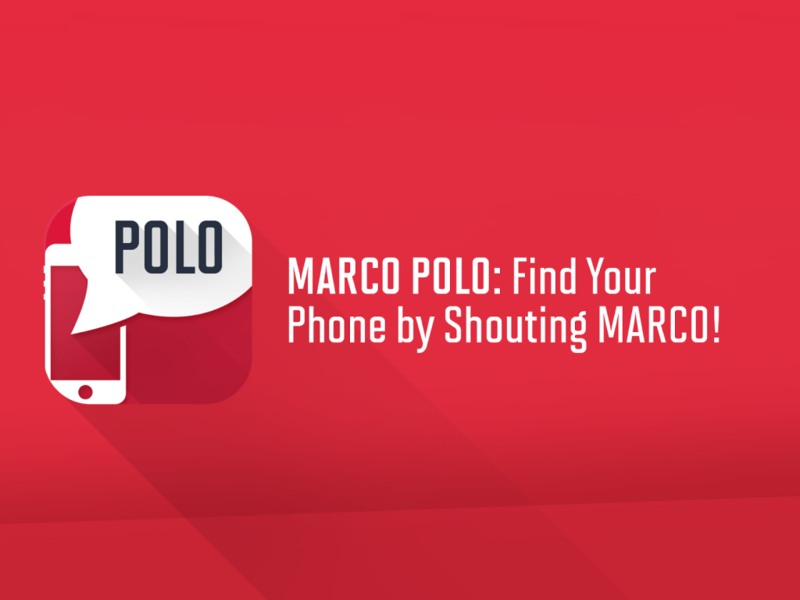 The Marco Polo app works on the iPhone, iPad and iPod touch, so your iWorld is covered! Canada-based developer/designer, Matt Wiechec, is the brainchild behind Marco Polo, and thank goodness for him! Once you switch on MP on your iPhone, “Marco” begins listening for that magic word. You can even set the volume of the voice that it responds in. This is particularly handy when you’ve left your phone on silent, under the couch, in a sock. 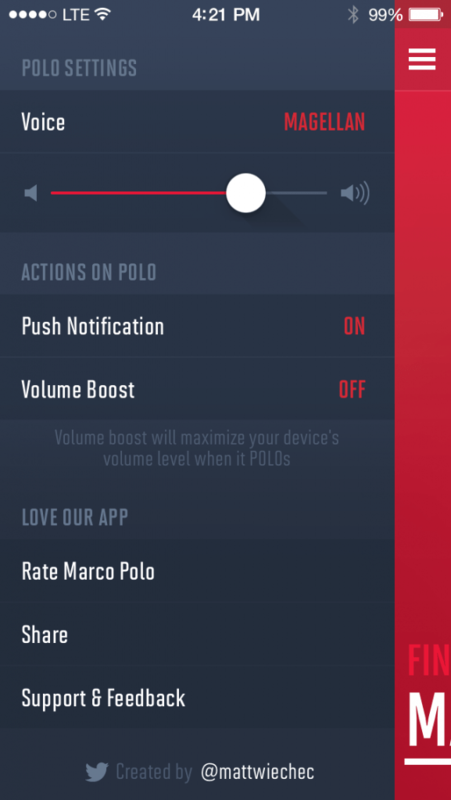 Or, of course, just set the “Volume Boost” option, and the voice will respond back at maximum volume. It also works while on silent, and even in sleep mode! If you set the Push Notification option on, MP will utilise iOS’s notification centre, to send you an alert when it responds to your Marco rants (Which you won’t be able to read until you find the darn thing of course). Once you switch the App on, and it begins listening for you, you will have the opportunity to change the word that it listens for. My good friends’ little one is named Marco, so this would be a great time to change that listening word! During my testing of the app, I was really surprised at how well it picked up my voice, and responded back immediately. It could hear me effectively from as far as about 5m, and I could hear it fairly clearly. In the beginning, my wife had some trouble with the range. If she wasn’t within 1m, it simply wouldn’t pick up her voice. But with the latest update that came through though, she can now register up to about 3 to 4 meters. Naturally the pitch of most women’s voices would be higher, making the signal more difficult to register on the device further away. The app is a mere $0.99, so well worth the cool, and fun functionality it gives you. 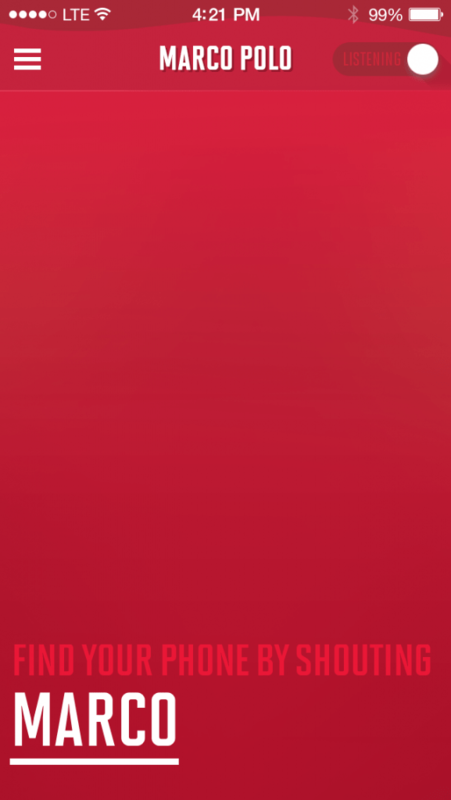 My only gripe with the app, is that once it is listening, and switched on, a red bar appears at the top of your iPhone screen, similar to when you are on a call, or hosting a personal hotspot. While this did NOT put a lot of load on my battery, i did find it kind of off-putting. Other than that, the app is great, effective, heck of a lot of fun, and simple. Go out and get it guys, you won’t be sorry.